ගුවන් මගී තොරතුරු පෙර ක්‍රියාවලිගත කිරීමේ (Advance Passenger Information Processing – APIP) සහ මගී නාම වාර්තා ලබාගැනීමේ (Passenger Name Record – PNR) පද්ධතියක් ආගමන හා විගමන දෙපාර්තමේන්තුව තුළ ස්ථාපිත කිරීම පිණිස කැබිනට් මණ්ඩලයේ අනුමැතිය හිමිව තිබේ. මේ සඳහා ශ්‍රී ලංකා තොරතුරු සහ සන්නිවේදන තාක්ෂණ නියෝජිතායතනය (ICTA) සහ Socie’te’ Internationale de Te’le’ communications Ae’ronautiques (SITA) ආයතනය පාර්ශ්වකරුවන් වශයෙන් සම්බන්ධ කර ගැනීමට නියමිතය. I think it will ease many bottlenecks, if implemented right with the right stuffs. Except for the shorter Indian sector, all other flights have minimum of 4 hours flying time between the point of embarkation to Colombo International Airport. Immigration can screen and process passengers faster, if the right stuffs are brought in to work. I know SITA is a good provider but you have to buy tailor-made than something prepared for general use. (Presently I am battling something of this sort with them). So, Department of Immigration have to be smart enough not to buy something made for someone else. But if you ask for modifications after purchase, they will try to fleece you. ඇත්තටම මොකක්ද ඔය ක්‍රියාවලිය සහ කොහොමද ඕකෙන් මගීන්ට තිබෙන පහසුකම??. උදේට එන කටාර් එකයි එමිරේට්ස් එකයි ශ්‍රී ලන්කන් එකයි ඕමාන් එකෙනුයි කට්ටිය බැස්සහම ආගමන විගමන එකේ හැදෙන පෝලිම් ටික දැක්කහම ලංකාවට එන එක එපා වෙනවා. ප්ලේන් එකේ පැය 10-12 එන එක ඉවසගෙන ඉන්න පුළුවන් එත් සීල් එක ගහගන්න මාර කට්ටක් කන්න වෙනවා. APIP information will have all the details necessary for the Immigration authorities to process any incoming passenger. Since almost all passports are machine readable nowadays, passenger should be able to swipe through. If any issue with any passenger, the authority can have an alarm /alert to stop him / her going through the electronic processing and take over the usual cumbersome manual process. Rana wrote: ඇත්තටම මොකක්ද ඔය ක්‍රියාවලිය සහ කොහොමද ඕකෙන් මගීන්ට තිබෙන පහසුකම??. Jeff Bezos' space company Blue Origin expects to begin crewed test flights of its reusable suborbital New Shepard vehicle next year and begin flying paying passengers in 2018, Bezos told reporters on Tuesday. Bezos’ remarks, made during the first ever media tour of the Blue Origin manufacturing facility, marked the first time the billionaire founder of Amazon.com had put a target date on the start of the commercial space flights Blue Origin is developing. "We’ll probably fly test pilots in 2017, and if we’re successful then I’d imagine putting paying astronauts on in 2018,” Bezos said at the sprawling plant south of Seattle. A woman flew from Istanbul to Paris with a four-year-old girl hidden inside her hand luggage, Air France has said. The airline said the child, travelling without a ticket, was discovered on board the flight on Monday night. An airport source told AFP news agency that the woman was a resident of France who was in the process of adopting the child, from Haiti. The airline notified the French authorities but prosecutors decided not to press charges. The woman was in the transit zone in Istanbul but was preventing from boarding her flight with the child, the source told AFP. She then bought a new flight ticket and hid the child in a bag. Once on board, she placed the child at her feet under a blanket, but the girl needed to go to the toilet and was noticed by other passengers, the source said. "The cloth bag belonged to a woman sat at the back of the plane. At one point she opened the bag and her neighbour on the other row of seats saw something moving inside. He alerted flight attendants, who then discovered a baby," a passenger named Vincent told French news website Planet.fr (in French). The woman and the girl have been held at Charles de Gaulle airport while authorities investigate the case. I have seen people who have smuggled serpents and other animals on board but this woman is a high risk taker. but how she passed security scan and other checking procedures. someone inside involved to carry the hand baggage. you can't carry a water bottle through the security scan. කිත්සිරි ද සිල්වා wrote: Thanks Rana. (Sometimes a lady dressed in killer fashion can smuggle an elephant even through the X-ray without alerting anyone). Rana wrote: but how she passed security scan and other checking procedures. someone inside involved to carry the hand baggage. you can't carry a water bottle through the security scan. Two people have been injured when Iron Maiden‘s airplane, Ed Force One, collided with a ground tug at the airport in Santiago, Chile today. The band is currently making new arrangements to get themselves and their equipment to Argentina for their concert tomorrow night. They broke the news on their Facebook page, where they included the above picture and another showing the damage. According to the post, the plane was being towed in order to be refueled prior to their flight to Cordoba, Argentina. “On moving, the steering pin that is part of the mechanism that connects the ground tug to the aircraft seemingly fell out. On making a turn the aircraft had no steering and collided with the ground tug badly damaging the undercarriage, two of the aircraft’s engines and injuring two ground tug operators, both of whom have been taken to hospital. We hope of course that they make a full and speedy recovery and we will be closely monitoring their progress. Mar 16, 2016 (LBO) – SriLankan Airlines has apprehended 230 persons with false travel documents last year in a bid to crack down on illicit travel through Bandaranaike International Airport (BIA). International law authorizes airlines to ensure that passengers travelling between countries do so with all authentic documentation, as required by the airline industry’s global governing bodies such as the International Civil Aviation Organisation. Airlines also face heavy fines from foreign governments if a passenger is detected with forged visa or passport, even if such passengers have been cleared through Immigration authorities at the point of origin. Fines range up to 5,500 euros per passenger (LKR 873,000) in some European countries. “The airline has its own group of specially trained document checkers, who have been trained by foreign embassies in spotting fake travel documents,” SriLankan Airlines said in a statement. While such fake passengers are likely to use any of the dozens of airlines which operate from BIA, SriLankan Airlines staff play an important role in detecting them on all such airlines, since SriLankan is the sole airport service handler for all airlines at BIA. The airline said their employees also work closely with Sri Lanka Police, Customs and Immigration to minimize and eradicate the organized crime of human trafficking. Flydubai flight FZ981 has crashed in the southern Russian city of Rostov-on-Don killing all 62 passengers and crew on board. The flight was en route from Dubai and crashed during a landing approach. Welcome to the Forum NT. Naked Trader wrote: Flydubai flight FZ981 has crashed in the southern Russian city of Rostov-on-Don killing all 62 passengers and crew on board. The flight was en route from Dubai and crashed during a landing approach. ලොව පුරා අධික තරබාරු බව ඉතා ඉක්‌මනින් වැඩිවන අතර 1980 සිට අද දක්‌වා එය ලොව පුරා දෙගුණයකින් වැඩි වී ඇත. බ්‍රිතාන්‍යයේ ස්‌ථුලභාවය පිළිබඳ ජාතික සංසදයේ ගණන් බැලීමට අනුව බ්‍රිතාන්‍යයින් 4 දෙනෙකුගෙන් කෙනෙක්‌ අධික ස්‌ථුල භාවයෙන් පෙළෙයි. මෙම අධික තරබාරුව වෙනත් අංශ බොහොමයක්‌ මෙන්ම ගුවන් සමාගම් සඳහාද ප්‍රශ්න කීපයක්‌ම ඇති කර ඇති අතර, ප්‍රධාන වශයෙන්ම මෙම තරබාරු මගීන් සඳහා සුවපහසු ආසන පැනවීම ඔවුන්ට මහත් හිසරදයක්‌ වී ඇත. මේ නිසා දැන් දැන් ගුවන් සමාගම් තරබාරු පුද්ගලයින්ගෙන් ගුවන් ගමන් සඳහා ඔවුන්ගේ බරට සරිලන පරිදි ගාස්‌තු අයකිරීමටද පටන්ගෙන ඇත. අධික තරගකාරිත්වයත් සමග මේ වනවිට සෑම ගුවන් සමාගමක්‌ම පාහේ හැකිතාක්‌ දුරට තම මගීන්ට පහසුව සැලැස්‌වීමට උත්සාහ කරනු ලබන්නේ තව තවත් පාරිභෝගිකයන් තම ගුවන් සමාගම වෙත අද්දවා ගැනීමේ අටියෙනි. වර්තමානයේ තරබාරු පුද්ගලයින්ගේ සංඛ්‍යාව වැඩිවීමත් සමඟ, ගුවන් සමාගම්වලට ඔවුන්ගේ පහසුව ගැනද සිතා බැලීමට සිදුවන්නේ තමන්ගේ පාරිභෝගික ජාලයෙන් වැඩි දෙනෙකු දැන් දැන් තරබාරු පුද්ගලයින් වන නිසයි. මේ අතර මෙම ගැටළුවට ප්‍රායෝගික විසඳුමක්‌ ලෙස බොහෝ ප්‍රකට සුපිරි ගුවන් සමාගම් වන Britsh Ariways, Emirates හා Virgin වැනි සමාගම්වලට ගුවන් යානා නිෂ්පාදනය කරන ප්‍රංශ සමාගම වන Airbus සමාගම විසින් අවශ්‍ය ප්‍රමාණයට සකස්‌ කරගත හැකි "බංකු ආසන" (Adjustable Bench seats) හඳුන්වා දී ඇති අතර ඒ සඳහා පේටන්ට්‌ බලපත්‍ර/ අයිතිය ලබාගැනීමට ඔවුන් දැන් උත්සාහ දරමින් සිටී. මෙම විශේෂ ආසනවල ආසන පටි මෙන්ම අත්වාරු (Armrests) පුද්ගලයාට පහසු ලෙස අවශ්‍ය ප්‍රමාණයකට සකස්‌ කර ගත හැක. මේ නිසා ඕනෑම ප්‍රමාණයක, හැඩයක මගියෙකුට සුවපහසුවෙන් අසුන් ගැනීමට හැකිවනු ඇත. Airbus සමාගම මීට පෙරද ගුවන් යානා නිෂ්පාදන ඉතිහාසයේ පෙරළිකාර සොයා ගැනීම් කීපයක්‌ම පේටන්ට්‌ අයිතිය ලබා ගැනීම සඳහා ඉදිරිපත් කරන ලදී. මේ අතර වෙන වෙනම ගලවා සවිකල හැකි ගුවන් යානා කුටි (cabin) තටු හැකිලවිය හැකි ගුවන්යානා සැලසුම්ද ඇතුළත් වේ. කෙසේ වුවද මෙම නව " බංකු" ආරේ ආසන නිෂ්පාදනයෙන් පසු මෙතෙක්‌ කල් ඉතා අපහසුවෙන් තම ගුවන්ගමන නිමා කළ තරබාරු මගීන්ට සැනසීමක්‌ උදාවෙනු ඇත. මෙම නව වර්ගයේ ආසනයක, තරබාරු මගීන් දෙදෙනකුට එක්‌ අත්වාරුවක්‌ ඉවත් කිරීමෙන් පසු සුව පහසුවෙන් ගමන් කළ හැකි අතර, එම ඉඩ ප්‍රමාණයෙන්ම සාමාන්‍ය ප්‍රමාණයේ මගීන් 3 දෙනෙකුට කිසිම කරදරයක්‌ නොමැතිව පහසුවෙන් හිඳ ගැනීමට හැකිය. තවද කුඩා දරුවන් දෙදෙනෙකුගෙන් යුත් පවුලකට ද, මෙම බංකු ආසනයක්‌ ප්‍රමාණවත් වේ. මව්පියන් දෙපළ මැද පහසුවෙන් කුඩා දරුවන් දෙදෙනෙකුට මෙහි ඉඩ පහසුකම් ඇත. පේටන්ට්‌ අයිතිය සඳහා ඉදිරිපත් කළ අයදුම් පතෙහි Airbus සමාගම මෙම ආසනය භාවිතා කළ හැකි මගී සංයෝජන 3 ක්‌ ඉහත කී ලෙස යෝජනා කර තිබුණා. තවද මෙම ආසන වර්ගය නිසා මගීන්ට පහසුව මෙන්ම ආර්ථික වාසිද අත්වන බව පෙනී යයි. විශේෂයෙන්ම කුඩා දරුවන් සිටින පවුල්වලට එම දරුවන් වයස අවුරුදු දෙකට වැඩි නම්, ඔවුන් වෙනුවෙන් සාමාන්‍ය සම්පූර්ණ ආසන වෙන් කරවා ගැනීමට මව්පියන්ට සිදුවේ. නමුත් මෙම නව ආසන සහිත යානයක නම්, මුළු පවුලටම එක ආසනයක්‌ වෙන් කරවාගෙන පවුලටම පහසුවෙන් ගුවන් ගමන නිමා කර ගැනීමට අවස්‌ථාව ලැබේ. තවද, මෙලෙස අවශ්‍ය ප්‍රමාණයට සකස්‌ කරගත හැකි ආසන මගින් ගුවන්ගමන් අපහසුතා ඇති තවත් මගී කාණ්‌ඩ කීපයකටම සෙත සැලසේ. එනම් ගර්භනී මව්වරු, කුඩා බිලින්දන් ඇති දෙමාපියන්, වයස්‌ගත පුද්ගලයින් හා ආබාධ සහිත පුද්ගලයින් යන අයටයි. Airbus සමාගමේ දැක්‌ම අනුව විශේෂයෙන්ම නවීන ගුවන් ප්‍රවාහන සේවය, ඔවුන් සතු සීමිත ඉඩකඩ ප්‍රමාණය ඉතා ප්‍රශස්‌ථ ලෙස භාවිතා කිරීම, මගීන් හා ගුවන් සමාගම් යන දෙකොට්‌ඨාසයටම ඉතා වැදගත් ලෙස සලකනු ලබයි. කෙසේ නමුත් මෙයින් අවසාන වශයෙන් පෙනී යන්නේ දැන් දැන් ලෝකයේ ස්‌ථුලභාවය අඩු කිරීම සඳහා පිළිතුරු සොයනවා වෙනුවට තරබාරු අයට අවශ්‍ය වන පරිදි අනෙකුත් භාණ්‌ඩ හා සේවාවන් හැඩ ගැස්‌වීමට එම නිර්මාණකරුවන් පොළඹ වන තරමට, ස්‌ථූල පුද්ගලයින් ලෝකය පුරා වැඩි වී ඇති බව නොවේද? Egyptair airliner is hijacked after leaving Alexandria and lands at Larnaca airport in Cyprus, reports say. Where were the MS "Air Guards" on board that aircraft? An EgyptAir flight which was diverted and forced to land in Cyprus was reportedly hijacked by a man who wanted to deliver a letter to a woman, who may or may not be his ex-wife. According to the Guardian, the Lebanese hijacker has demanded political asylum and threw a letter from the plane addressed to his ex-wife who lives in Cyprus. 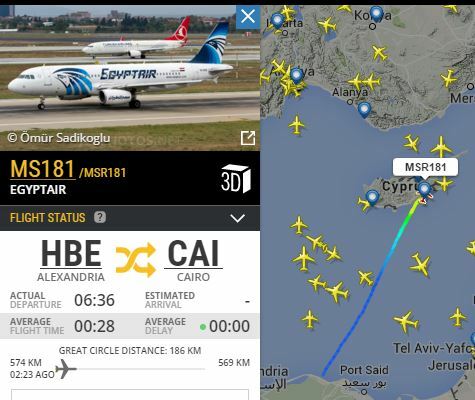 The EgyptAir domestic flight from Alexandria to Cairo was hijacked today and landed in Cyprus. The Cyprus Broadcasting Corporation reported that 55 people are on board, with a crew of 7. There were earlier reports of about 80 to 81 people on board. කිත්සිරි ද සිල්වා wrote: An EgyptAir flight which was diverted and forced to land in Cyprus was reportedly hijacked by a man who wanted to deliver a letter to a woman, who may or may not be his ex-wife. Another Cypriot becomes an Idiot! Two passenger aircraft collided on the runway of an airport in the Indonesian capital, forcing its temporary closure. The accident on Monday evening occurred at a military airport that also handles civilian flights to ease congestion at Jakarta's main commercial airport. Batik Air said in a statement that its plane carrying 49 passengers and seven crew was "touched" while taxiing for takeoff by a TransNusa aircraft that was being towed. Images posted online showed severe damage to the wing of the Batik Air jet, a Boeing 737-800. The airline said passengers and crew were safely evacuated. කිත්සිරි ද සිල්වා wrote: Two passenger aircraft collided on the runway of an airport in the Indonesian capital, forcing its temporary closure. Are we facing a 7dash7 curse? ECONOMYNEXT - State-run SriLankan Airlines is in talks to sub-lease three Airbus A350 aircraft it is has to take delivery this year, Chief Executive Suren Ratwatte said. Sri Lankan has ordered up to eight A350s with three due in 2016, one in 2017 and another four from 2020 onwards. But SriLankan has not been able to make profits on long-haul European routes the aircraft was deployed and a new administration has asked it to focus on regional traffic to cut losses. Prime Minister Ranil Wickremesinghe told parliament that SriLankan may have to cancel the A350 orders and pay penalties. The A350s due this year is leased from AerCap. Ratwatte declined to confirm reports that the carrier is in talks with Turkish Airlines to sub-lease the A350s. Trukish is a remarkable airline, which made losses under state-control which became one of the fastest growing and profitable carriers in the world after it was listed on the Turkish Stock Exchange and state-control was reduced. SriLankan which was profitable when it was privatized and was managed by Emirates, became a loss-making carrier after ex-President Mahinda Rajapaksa cancelled the visa of the expatriate chief executive and Middle Eastern carriers sold its stake and existed.